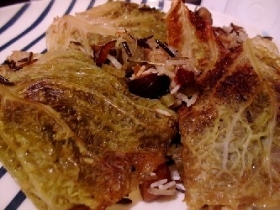 Have you made Cabbage Pierogi? 1. 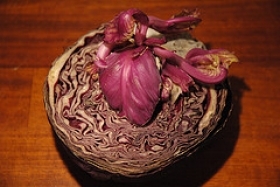 To make the filling, cut the cabbages into quarters. 2. Steam until very tender, approximately 20 to 30 minutes. 3. Drain and cool. 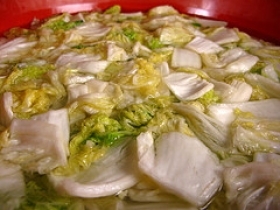 In a strong but thin linen towel, squeeze as much of the liquid from the steamed cabbage as possible. 4. Squeeze only a small handful at a time. Discard the juice. 5. 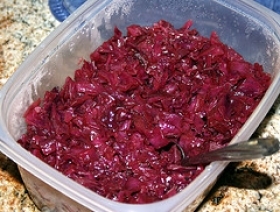 Grind the squeezed cabbage with the fine blade of a meat ginger. 6. Add the softened cream cheese and butter, and season well with salt and pepper, and set aside. 7. To make the dough, whisk the egg, milk, water, and sour cream together. 8. Add the flour, 1 cup at a time, mixing well after each addition. 9. Turn out onto a floured board and knead until smooth and elastic. 10. This may take about 10 minutes. Add as little additional flour as possible. 11. Put the ball of dough under an inverted bowl until ready to use. 12. 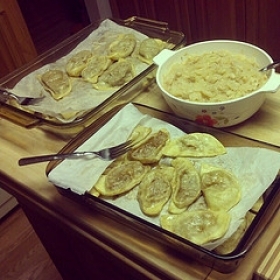 To make the pirogi, but the dough into 1 pieces. 13. On a floured board roll one piece of dough into a large round about 1/16 inch thick. 14. Keep the rest of the dough covered. With a cookie cutter or glass tumbler (21/2 to 3 inches in diameter), cut the dough into rounds. 15. Four each pirogi take 1 round of dough stretch it a bit with your fingers, and spoon about 2 tablespoons of the cabbage mixture into the center. 16. Fold the circle in half and press the edges together. 17. I crimp the edges with my fingertips into a decorative pattern. 18. Be sure to seal the edges well or the filling may fall out during the cooking. 19. 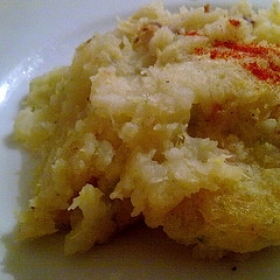 Put finished dumpling on a towel or tray that has been lightly sprinkled with cornmeal. 20. Continue rolling dough until all the filling has been used up. 21. Bring a very large kettle of water to the boil. 22. Add 1 tablespoon salt to water and cook about 20 pirogi at one time in simmering water until they are tender and float (5 to 6 minutes). 23. Remove to a serving dish with a slotted spoon and drizzle with melted butter. 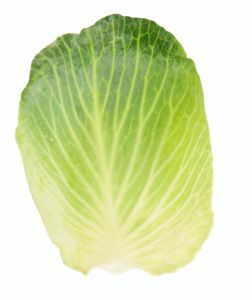 This recipe is a good source of Vitamin A with 16% of your daily recommended intake per serving. This recipe is high in Vitamin C with 136% of your daily recommended intake per serving. 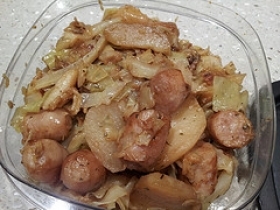 This recipe contains potential food allergens and will effect people with Wheat, Egg, Milk, Butter, Gluten, Cheese, Cabbage allergies.